In 1930, the rag-tag riffraff of a railway stop called Las Vegas need a fighting man to shepherd their tiny church after their pastor is murdered. Might David Gold, a washed-up boxer and Bible-school dropout who fights as the Pummelin' Preacher, be the answer to their prayers? In 2011, Science Cable T.V. producer Tim Faber is determined to prove that mankind has no need of God, while his lover, Joan Reed, strives to regain the faith of her youth. They're bound for Las Vegas to meet with 99-year-old Luke, who holds the key to a mystery they must solve--and answers that will forever change their lives. 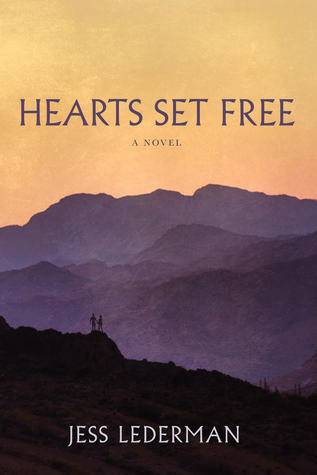 Hearts Set Free is a coming-of-age story with strong female characters and historical figures who interact with an unforgettable fictional cast. I will admit, when I first started this book, I really wondered what I got myself into. I had a hard time at first with the time jumps and I abandoned it for a couple of weeks. At that time, I was down with the crud, and I probably had issues of concentration because of feeling so absolutely miserable. I gave it a second try, and I'm happy I did. The second time, I was mesmerized by the characters and how everything unfolded and linked together. These stories of going from doubt to faith are amazing and just what I not only love to read, but needed to read! Usually after I finish a wonderful book like this, I pass it on to someone else. This time, I've given it to a family member with the request that it comes back so that I can read it again. I am sure I've missed a number of things that I'll be catching the next time I read it. Hearts Set Free is a historical/current time Christian fiction book that is worth reading - and reading more than once. It has some fantastic and strong well developed characters that I ended up loving. Make sure to add this one to your must read list this year! JESS LEDERMAN graduated with a B.A. in music from Columbia University in New York, and a lust for expensive pianos drove him to an unexpected career in finance. As a young man, Lederman gained much that the world had to offer and became a gambler, womanizer, and arrogant atheist. Then the writings of Francis Collins, C.S. Lewis, and George MacDonald transformed his life, inspiring him to become a follower of Christ. Lederman is the founder of the website The Works of George MacDonald and is well known worldwide to fans of the much-loved Scottish minister and novelist. He published over forty anthologies on the global financial markets during his business career and now devotes himself to writing fiction. Lederman remarried after his first wife’s passing and lives in the Pacific Northwest with his wife and two young sons. 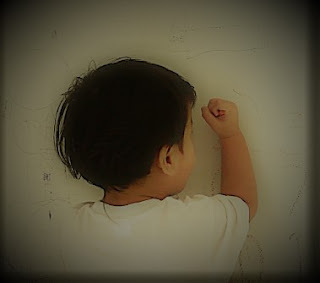 To keep up with Jess, visit his newly designed website: https://www.jesslederman.com . I received a copy of this book from JKS to read and review. I was not required to write a positive review, but instead, one that gives my honest opinion. Our teenage friends are full of questions and longings. They're trying to figure out who they are, where they belong, and if they matter during this pivotal time of development all while facing new realities of loneliness and isolation, despite their social media followers. 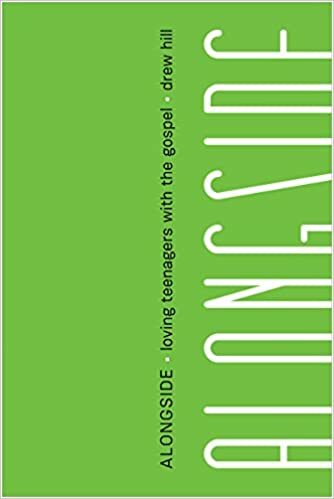 Alongside is definitely a book written by someone who knows teens and how to communicate with them. Drew Hill does a remarkable job of illustrating how to work with teens and connect with them. I promise you, that reading this book will give you much needed insight - no matter how much you think you know about talking to this age group. Kids need you to be on their level and believe me, this book will show you how to get there. 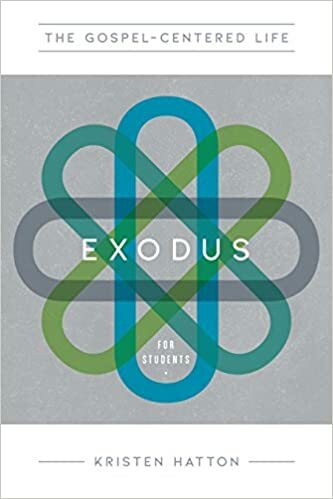 This book is a must for anyone who has a teen, knows a teen or works with a teen. It will change not only how you communicate with them, but will open a great door of understanding towards them. This is the secret to success to pass on the Gospel without them shutting down on you. Tightly wrapped in a lifelong protective cocoon, Mary Jo has no idea how wounded she is until one starless night following the death of a relative, she has a flashback that opens a dark passageway back to her childhood and the horrific secrets buried deep inside her. Like a needle stitching together a quilt, the memories she recovers reveal why she feels invisible, stupid, and different. Shattered by these revelations, overcome by depression, hopelessness, and a loss of trust in others, Mary Jo embarks on a healing journey through the underground of her life that ultimately leads to transformation. When I first started reading this memoir, I felt like I was sitting in my living room with Mary Jo Doig and listening to her tell her story. I was captivated from the start and unlike many memoirs I have read, this one was truly interesting - like listening to your mother tell her life story. I picked my mother, because if she were alive, she would be almost the same age as the author. Her story begins from childhood and this is told as she tells about her quilt that she has been working on. 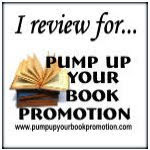 It's captivating and told so well - you feel an immediate connection with the author. 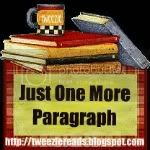 As the story proceeds, one finds something is off, and as Mary Jo continues, you will find yourself holding your breath and possibly finding it so difficult to read, you'll have to set the book aside. Mary Jo's journey to truth and healing is a powerful, powerful story. It will awaken feelings inside you and make you want to deal with those that had made her hit bottom and lose hope and trust. This woman is amazing and her story is well worth the read. Be warned it is difficult at times to get through and may even awaken old memories of friends and family members in your own past. Just know that when one hits bottom - there's only one way to go - UP - and that's what Mary Jo did. Please note - This book contains abuse - sexual, mental and physical and may not be appropriate for younger audiences or those sensitive to this type of material. Mary Jo Doig is a life-writing enthusiast who has been coaching women to tell their truth for twenty years. 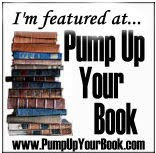 She is a book reviewer, editor, and facilitator of women’s writing circles and legacy workshops. Her stories have been published in Inside and Out: Women’s Truths, Women’s Stories and Kitchen Table Stories. 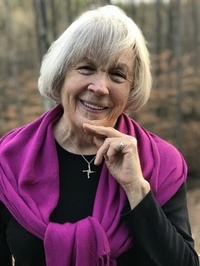 Mary Jo writes in the Blue Ridge Mountains, where she treasures quilting, cooking healthy food, hiking with her rescue dogs, and spending time with family and friends. 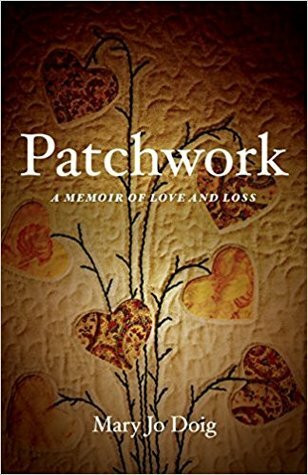 Patchwork is her first book. I received an egalley of this book from the publicist. I was not required to write a positive review, but instead, one that gives my honest opinion. What is the purpose of life? A simple question that has no simple answer - or does it and we just make it complicated? 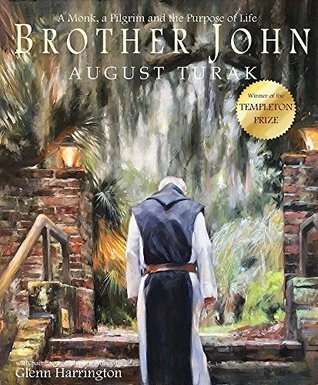 This amazingly beautiful book focuses on the author's time spent at Mepkin Abby on Christmas Eve with the Trappist monks. His writing is meaningful with a message that is powerful and interesting. He focuses on one of the monks, Brother John, and uses him as an example of love, peace and grace. Brother John is the author's stepping stone to an answer to his most pondered question. This is a book that you will need to read at a slower speed than a regular "story book" as there is so much to absorb with the author's observations and realizations. I personally had to go through this book a few times, as I was completely distracted by the GORGEOUS illustrations. This is a book that will be a part of my permanent library. Although it takes place on Christmas eve, the message and the beauty of the book will have you returning again and again and not just at Christmas time. The one thing I did miss was the lack of a message about God and Jesus. It is somewhat implied but never really mentioned. For me, I found more credit to the monks than God and I'm not totally sure how I feel about that - especially if one that may not be a Christian were to pick up this book and read it from a secular point of view. 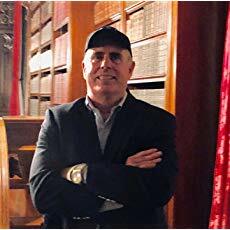 AUGUST TURAK is a successful entrepreneur and award-winning author who attributes much of his success to his 20-year stint as a frequent monastic guest of the Trappist monks of Mepkin Abbey. As a monastic guest, he lives and works alongside the monks sometimes for months at a time. I received a copy of this book from FSB Media. I was not required to write a positive review, but instead, one that gives my honest opinion. The weather is finally cooling down after a long hot, humid and rainy summer and has put me in the mood for a little holiday reading. Temps have dropped into the 30's at night and yesterday was cold and rainy. 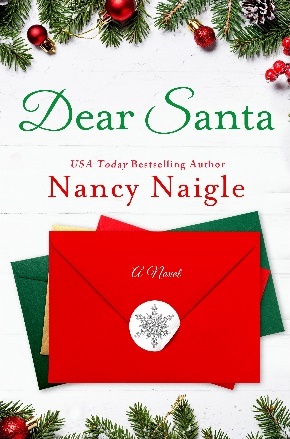 It had the feeling of snow and made it perfect for settling down in my favorite chair with a blanket and a cup of hot cider and Nancy Naigle's newest book, Dear Santa (which publishes today). My husband asked me why in the world I read Christmas novels. The answer? It's books like this that make me want to read them! Nancy has captured the magic of Christmas in Dear Santa. However, I will say that if you are a Christmas movie junkie, you'll notice that the story line has a familiarity about it, but it's the way Nancy tells the story that makes you want to keep reading. Her characters are interesting and the main character, Angela, is just a downright sweet girl who only wants to keep her store afloat. Then there's Geoff - the wealthy, handsome, businessman that is the threat to Angela's success. Yes, both characters are cliche, but still interesting and kept me wanting to read more to see how things were going to finally turn out in the end. Sure it's predictable - it's a Christmas story, but it's the way Nancy tells the story that will keep you captivated and turning the pages until you surprise yourself that you've finished the book and can't believe you've sat reading for such a long period of time. If you are a sucker for feel good Christmas stories, treat yourself and pick up a copy of Dear Santa. You won't regret it! Aside from writing she enjoys hunting for treasures in junk and antique shoppes, and getting crafty no matter what the medium from painting and digitizing embroidery designs, to weaving pine needle baskets. She also enjoys horseback riding on her palomino, Tooter. I received an egalley of this book from the NetGalley. I was not required to write a positive review, but instead, one that gives my honest opinion.